I love to cook but am not a fan of how long it can take to prepare a meal. Marinating, chopping, blending and washing all take up so much time that I can’t even be bothered to prepare homemade meals in the evenings anymore. It’s a shame because there are an abundance of great recipes out there that I could be making instead of always eating out or heating up frozen meals. Luckily the food Gods have heard my kitchen whimpers and have put me in touch with a neat company called Fresh Canteen that delivers fresh ingredients to your door to create a home-cooked meal. Fresh Canteen’s services offer a variety of recipes to choose from and the ingredients to prepare the recipe are all delivered right to you. The ingredients are all local and fresh and are measured out according to the number of servings you've chosen. 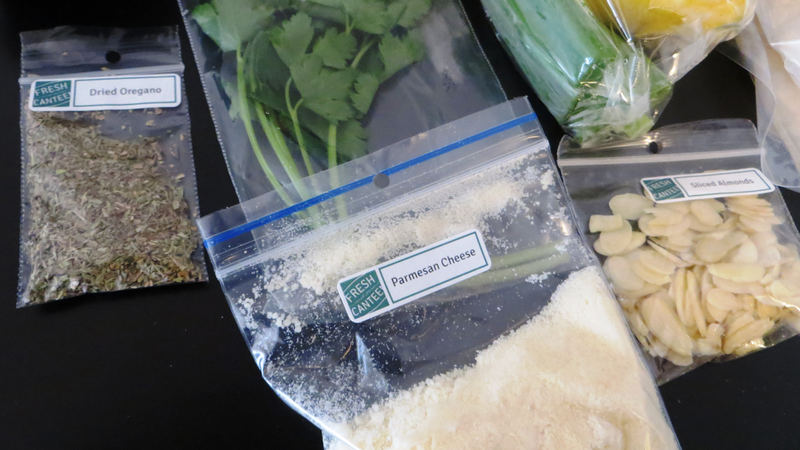 The loose ingredients such as spices or pasta come in a little bag that has a label on it so you know exactly what it is and the vegetables come whole so there is a little chopping involved. Once the ingredients are all ready, just follow the directions on the handy recipe card that comes with your package and you’ll have a wholesome cooked meal with little to no preparation involved. Fresh Canteen costs $12.50 per serving which ends up being about $78 a week for two people. Just pick how many recipes and servings you want and Fresh Canteen will handle the rest. Your box will arrive on Tuesdays between 12 pm and 6 pm at your home or office. No need to worry about the food going bad because all of the fresh ingredients are delivered in an insulated bag with gel packs. The convenience of having pre-planned meals saves so much time and money. You don't have to worry about buying each ingredient for a meal, or having leftover ingredients that go bad after a few days. Fresh Canteen delivers the right amount of ingredients so you don't have to worry about storing anything in your fridge or cupboards afterwards. 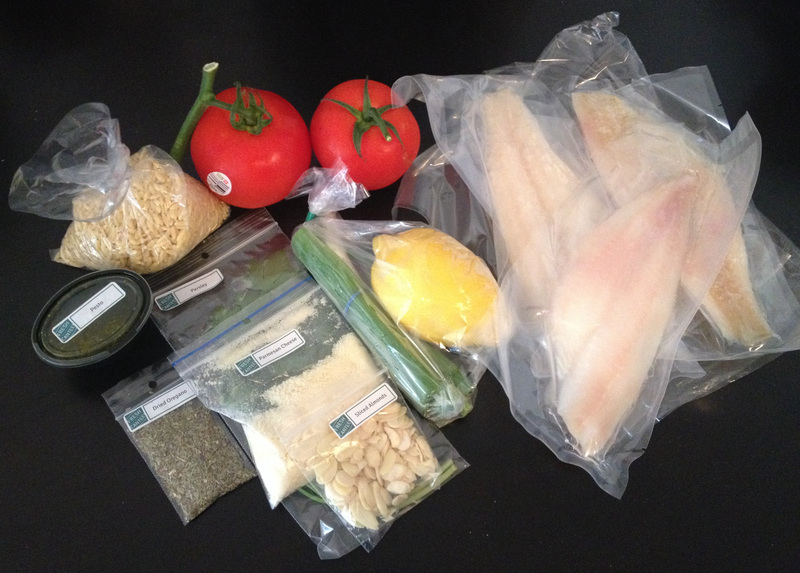 I recently tried out the services from Fresh Canteen and decided on the Sole Almondie recipe. I got home from work on Tuesday and my Fresh Canteen box was waiting at my doorstep. I opened the box and found all of the ingredients neatly packed within insulation to ensure everything was kept fresh. Some of the recipes require that you have staple pantry items such as oil, butter, pans, etc. so be sure to check out what is needed for each recipe you order. All of this info can be found on the website in the recipe section. I followed the clear instructions for the Sole Almondine and my meal was finished in less than 40 minutes! 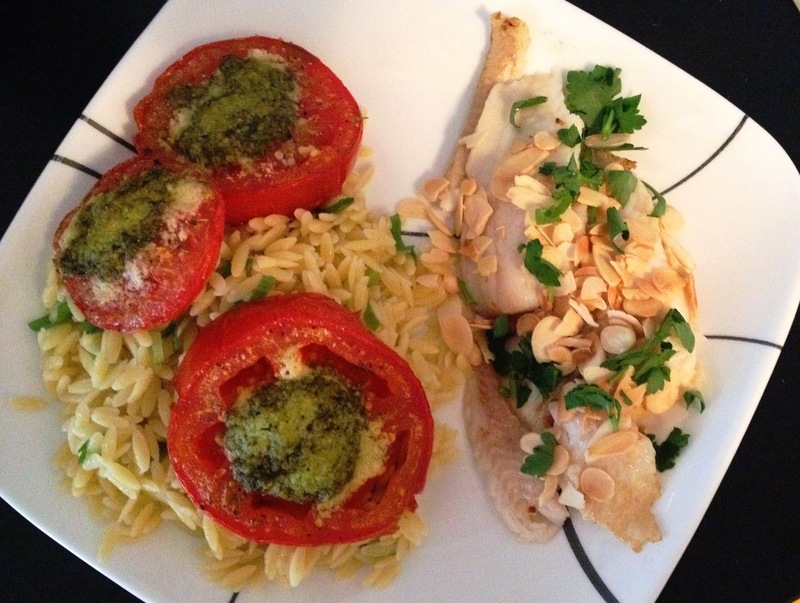 I only had to chop up the tomato and parsley and everything else was just combining and cooking. The meal was healthy, fresh, DELICIOUS and best of all, home-cooked. Overall I think Fresh Canteen is definitely a great service for busy people who love to cook but don't have the time to buy and prepare ingredients. Fresh Canteen will plan, shop, measure and deliver your food and all you need to do is cook it. The service is definitely worth trying out and you may just get hooked on convenience! 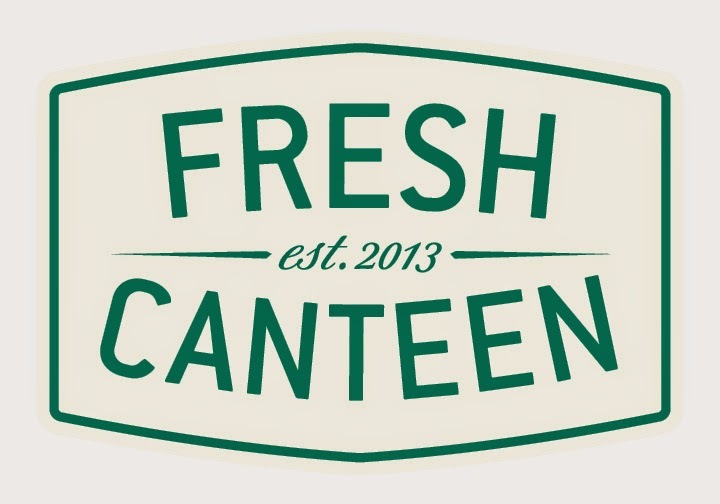 Stay up to date with Fresh Canteen on twitter and let them know which meal's you'd like to see on their menu.